The ELLA 5X8 Machine-Woven Rug by Oriental Weavers at Miskelly Furniture in the Jackson, Pearl, Madison, Ridgeland, Flowood Mississippi area. Product availability may vary. Contact us for the most current availability on this product. 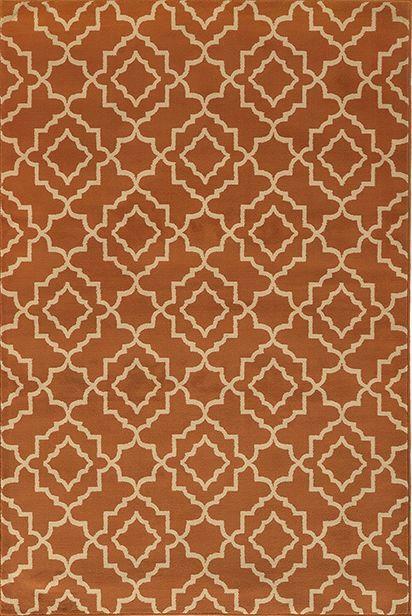 Ella features fresh global designs and bold geometrics in crisp color stories that are sure to be the perfect finishing touch of pattern to any room. Machine-woven from worry-free polypropylene, Ella celebrates family-friendly durability at an exceptional value. The ELLA collection is a great option if you are looking for Rugs in the Jackson, Pearl, Madison, Ridgeland, Flowood Mississippi area. Browse other items in the ELLA collection from Miskelly Furniture in the Jackson, Pearl, Madison, Ridgeland, Flowood Mississippi area.